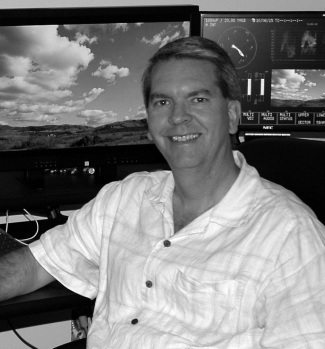 Team | Brandon Key - Video Production Orange County | Digital Cut Inc.
President and founder of Digital Cut, Inc., Brandon left his career as an aerospace engineer in 1994 to pursue a career in video post-production. Three years of freelancing for various post houses and production companies in LA and Orange county led to a permanent position as the in-house, post-production supervisor and principal editor for Martin Brinkerhoff and Associates in Irvine, California. While there, Brandon designed and supervised construction of a new post-production facility and pioneered new editing techniques for multi-screen productions for large corporate events. Since starting Digital Cut, Inc. in 2004, Brandon has worked on everything from corporate communications, documentaries, commercials, infomercials, and feature films. Brandon has a BS in Mechanical Engineering from U.C. Berkeley and has studied film and video production at UCLA.